We had a very exciting day yesterday-we started boiling at 5am and we ended up not going to bed until after 2am today! We had to boil twice to keep up with rate of sap coming in from the woods. A class from Stafford Technical Center came in for a tour yesterday between boils. We had a great time teaching them about maple, showing them the operation, and answering all their questions. I think they enjoyed the free maple samples too! It wasn’t too long after they left that we had to start concentrating sap again to prepare for our second boil of the day. The sap was coming in so fast we had no choice but to boil a second time. Richard couldn’t believe how fast it was coming in. He describes “I went to lunch and the tank was half full…I came back and the tank was about to over flow!” Our bulk tanks for collecting sap can hold 1,250 gallons, that’s a lot of sap coming in quickly! 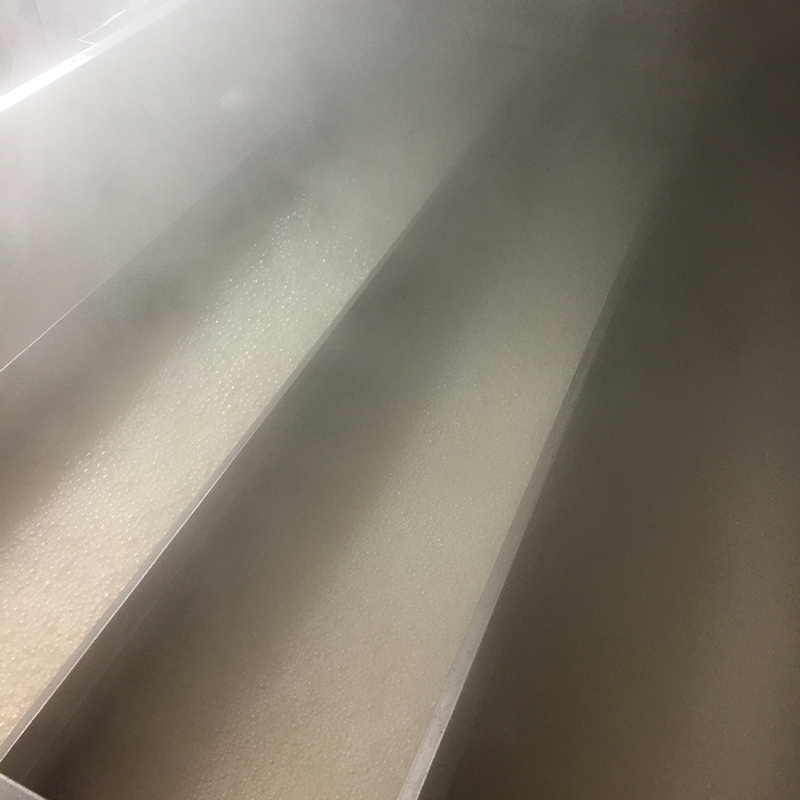 Our second boil of the day was so exciting as we were making some very light colored syrup, our personal favorite, Golden Delicate. It was so light in color it looked like water in the back pan. 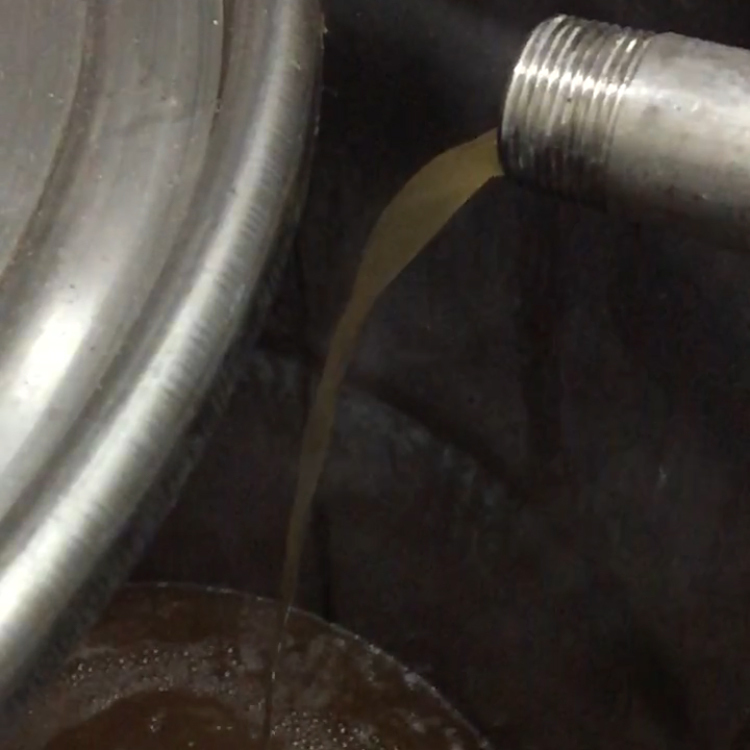 It’s some of the lightest syrup we’ve made so far this season and it tastes amazing. During our second boil we had a guest photographer come in, Donna Wilkins, of Donna Wilkins Photography. We saw on her Facebook page she had a desire to photograph a wood fired evaporator, so we invited her over. She took some really neat long exposure photos of the embers coming out of the smoke stack at night. We are happy she was able to make it and we can’t wait to see what the rest of the photos look like! After Donna left we continued to boil, making beautiful Golden syrup until two in the morning. When we left the sugarhouse to retreat to our beds the sap was still coming in. The season is still just beginning and it looks like its going to be a good one! Thank you to our visitors! Come back anytime!